Happy Birthday…may all the days that follow be filled with love and joy. “I’m glad it’s your birthday, Happy Birthday to you!” Have to sing those lines to yourself. 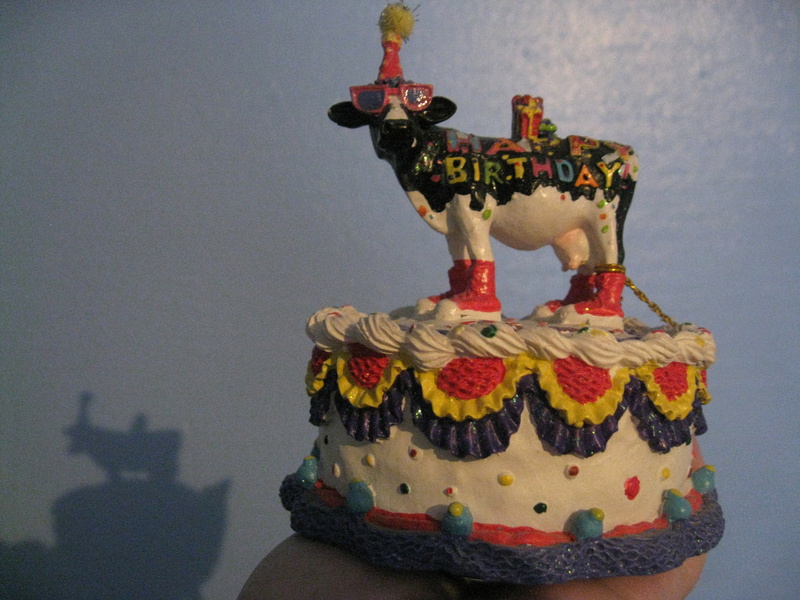 The Beatles “Birthday” is the traditional song with Ray and me and we don’t have a singing cow. Sounds like the 8th was a delight for you. Know what you mean about a time in life with no delight in life. I know you are delighting in today, the 11th, just as I am. Thanks, KS! I did indeed delight in the 11th as well! A belated Happy Birthday but I am glad you enjoyed it.